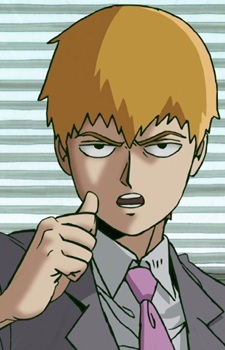 Reigen is a self-proclaimed psychic who exorcises evil spirits and leads a spirit council. He is also Mob's mentor and boss. He has a wide variety of skills and knowledge due to working a lot of different jobs. He uses them either when he helps his client or attacking his opponent. Mob Psycho 100 can be compared to its predecessor One Punch Man in how it features down-to-earth protagonists that have been granted immense power. But how does Mob Psycho 100 deal with this premise differently? Is Mob Psycho 100 Better than One Punch Man? Mob Psycho 100's first (but hopefully not only) season has just come to an end, while One Punch Man's second season has just been announced. Which of the two ONE adaptations is ultimately the better show? Read on for the possibly surprising, almost certainly controversial answer!